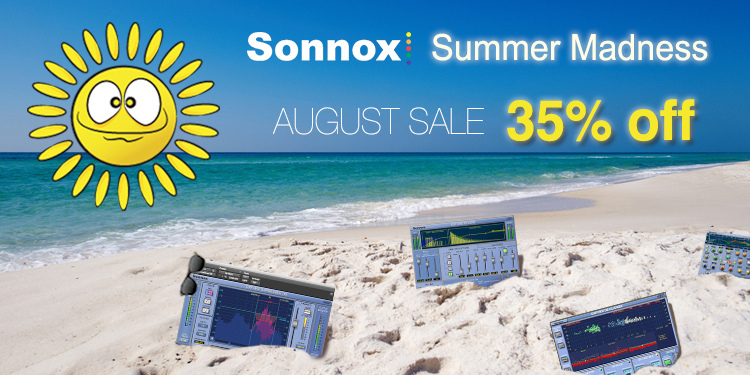 Sonnox Summer Madness - 35% Off All Plugins! It's summer and the sun is shining! To celebrate, Sonnox is having a summer madness sale. Get 35% off all Sonnox plugins and bundles! Deal runs August 1st through August 31st. Don't miss out, save on Sonnox plugins!